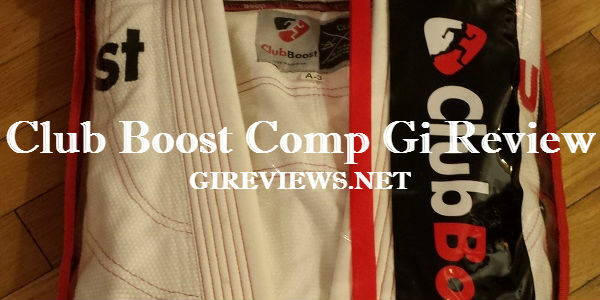 The Club Boost Comp Gi has some of my favorite features that a gi can have, including seamtape that runs along the lapel, as well as gi material in the pants for improved grip and comfort. 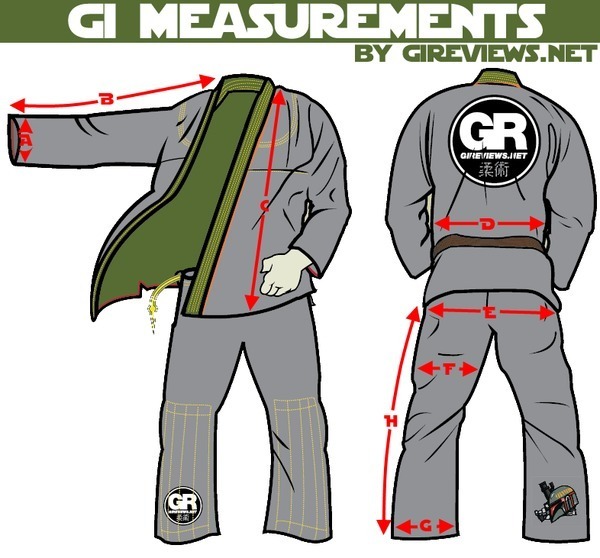 The gi is attractive and comfortable, but its quality is not as good as its counterpart (the Samurai gi). My first impression of the gi was that the branding and company name were a bit odd. 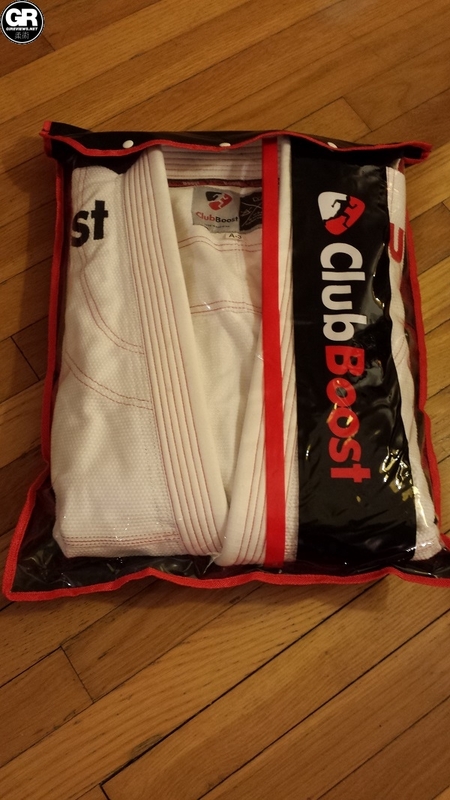 It almost looked and felt like the sort of item that would be sold at a health club rather than a BJJ Gi, but the design is clean and I think that it works nicely for Club Boost. 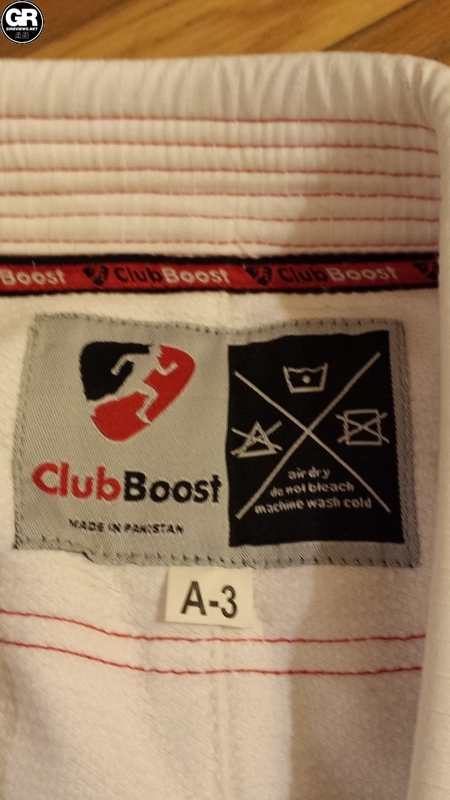 Club Boost sent me an A3 in the Comp Gi and an A2 in the Samurai. My preferred size in all gis is A2L, but I’ve found that some company’s A3 or A2 gis fit fine. 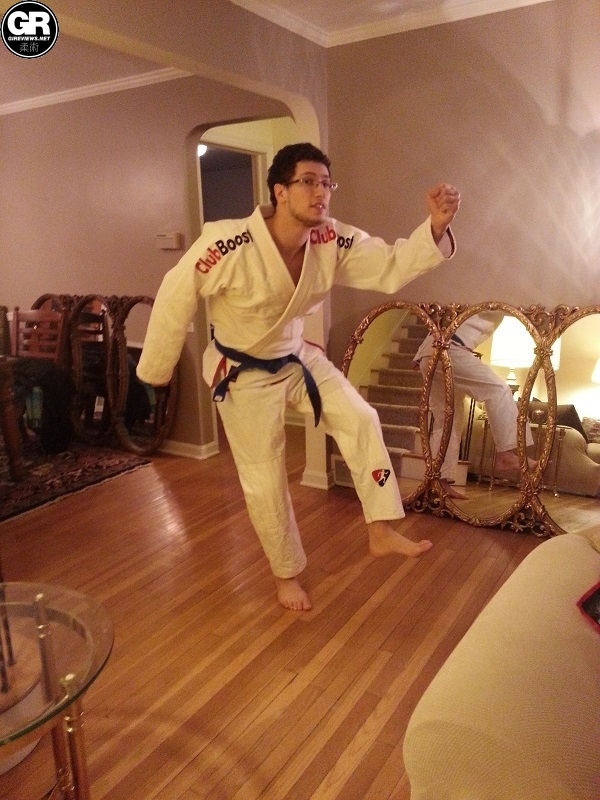 I found that the Club Boost Comp Gi fit me comfortably, but had a bit of excess material in the body that the Samurai Gi did not. The pants on the other hand fit me perfectly. I’d say that the Comp Gi fits my 6’1 196lb frame nicely. The gis design is fairly simple. 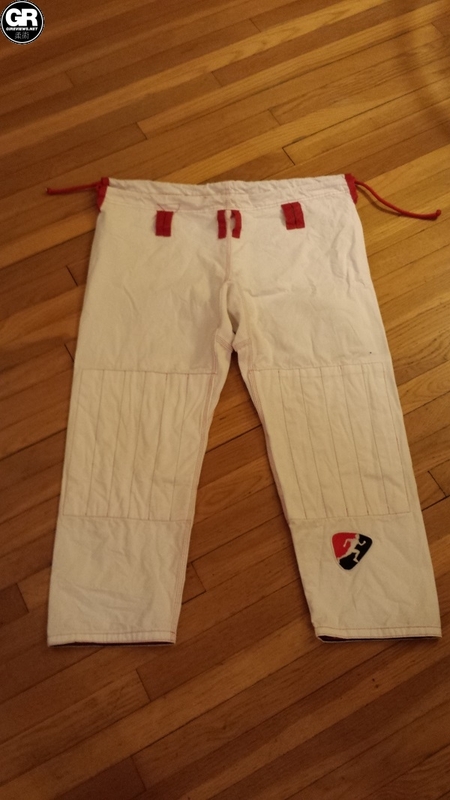 It is a white gi with red contrast stitching and piping. 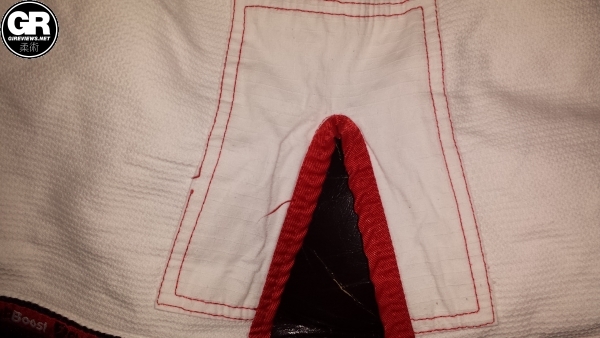 The piping and rope-loops on the gi are made out of a thick red polyester (or possibly nylon blend) fabric. 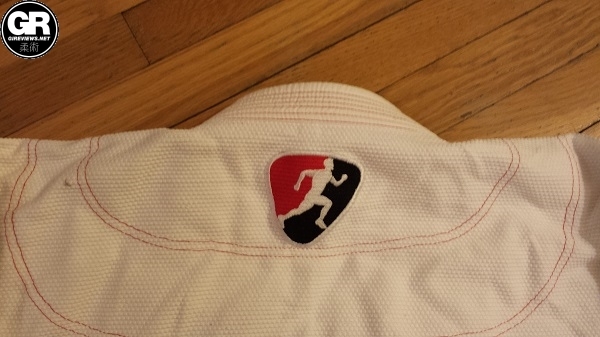 The trousers are a bit simpler, with a single logo hit on the bottom of the right leg. In spite of being simpler, the trousers have the features that really set this gi apart, with gi material in the knees as well as the gusset. 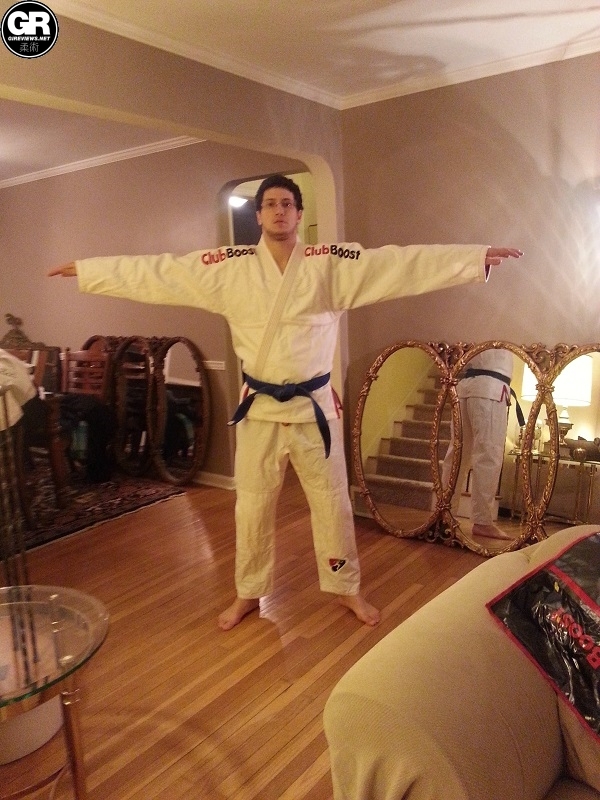 The Samurai gi doesn’t have this which is really the one way the Comp Gi is better than the Samurai. The Comp Gi has some issues with quality, namely the seamtape has frayed at some points and some of the standard reinforcements have begun to come undone. None of these issues seem like they’ll affect the long term performance of the gi, but they are definitely potential nuisances. 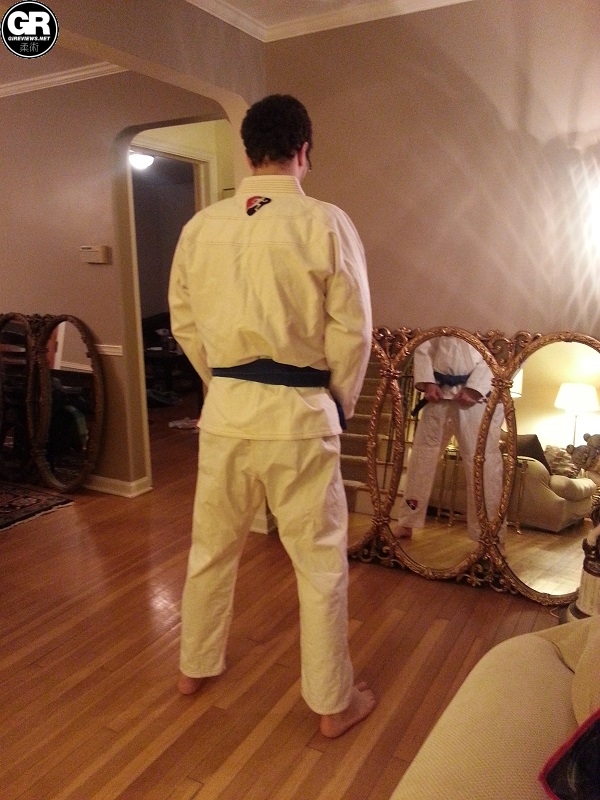 Overall I’d rate the design of this gi as relatively simple. The round font they chose is attractive, and I got a lot of compliments on the gi. The jacket is made of a 550 GSM pearl weave. The piping is made of a thick red poly blend (possibly nylon) and the stitching is red. The lapel is probably the worst part of the gi, being very thin and flimsy. I found it to be a disadvantage when rolling as it was too easy to get a hold of. 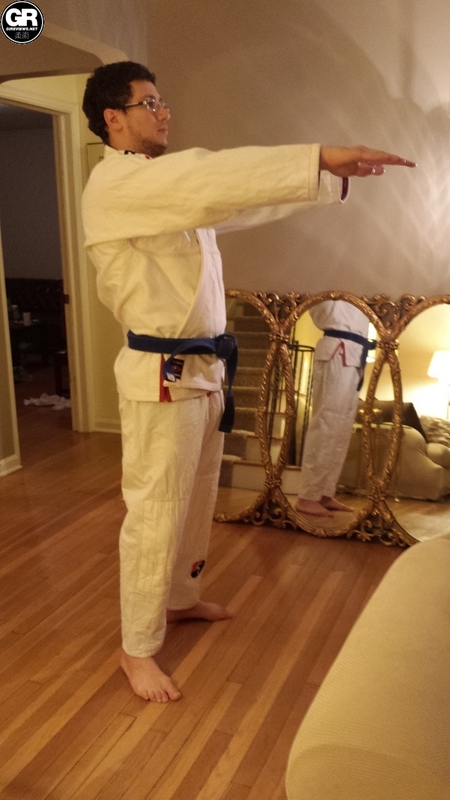 I would probably not wear this gi to competition. 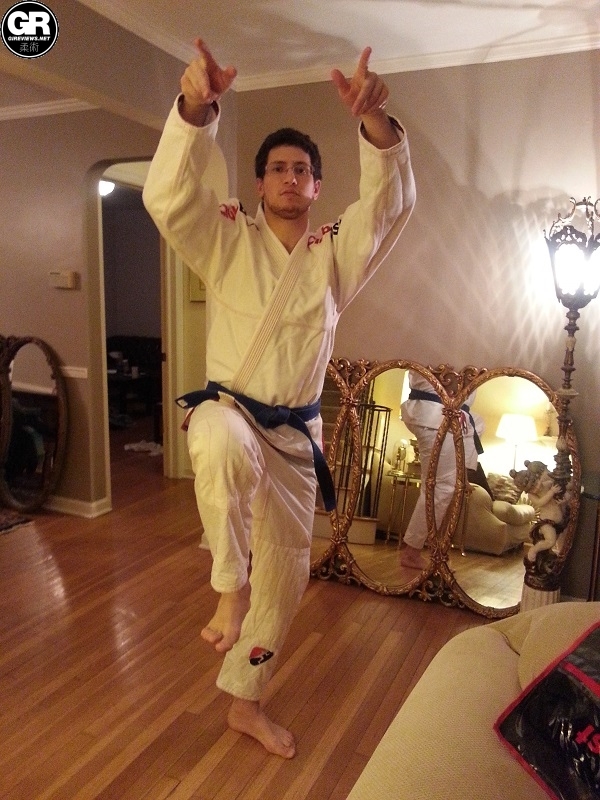 The Samurai gi’s lapel on the other hand is thick and supple, a great improvement. The seamtape on the jacket is both innovative as well as a minor issue. I am a huge fan of seamtape that runs past the collar as it makes grip retention on the collar more difficult. On the other hand the seamtape has begun to fray and come undone at some points. The standard reinforcements near the bottom of the jacket have also begun to come undone, but as I mentioned they don’t seem to be of long term consequence. These pants are awesome. They’re made out of a soft cottony ripstop and are both comfortable and functional. 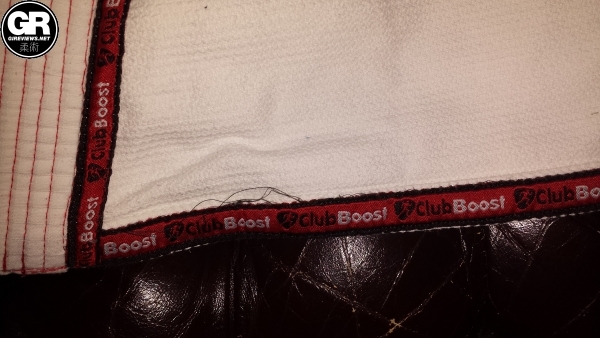 Club boost put pearl weave both in the gusset as well as behind the knee to provide extra padding. I love pearl weave in my gi pants as it aids in cinching submissions, and can make stripping pant grips easier. The pants also fit nicely which helps. 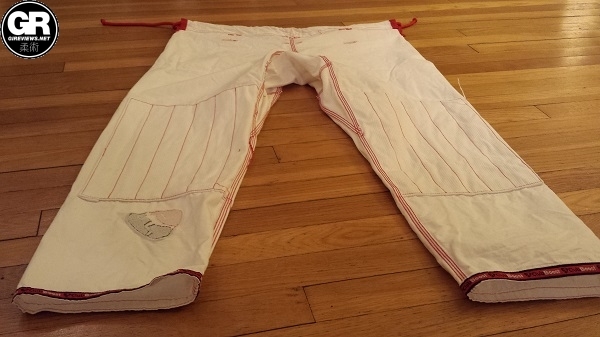 The aesthetic design of the pants is relatively simple: white pants, red seamtape, 6 red rope loops made of the same thick material as the piping and a nice stretchy rope with knotted and melted ends. The collar is a disadvantage, given that it is so thin and pliable, but this is offset by the awesomeness of the pants. 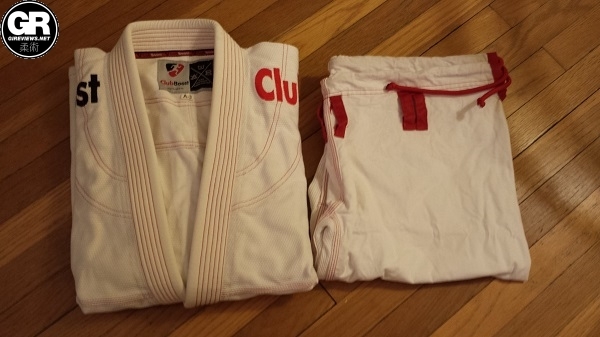 Club Boost would be well advised to make all their pants like the ones on this gi. Seriously. If I had to choose a suit of armor with which to go into war, I’d probably go with the Samurai gi. I’ll cover why in the next review. 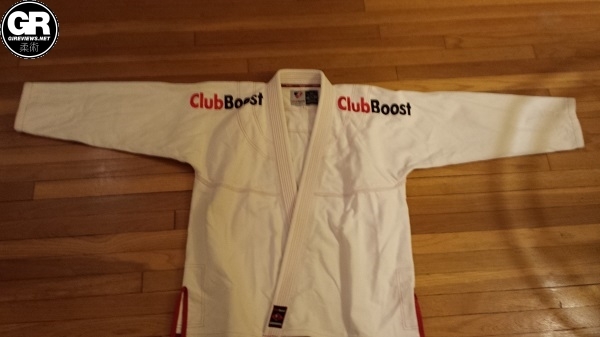 Club Boost’s Comp Gi is a fantastic entry to the gi market. 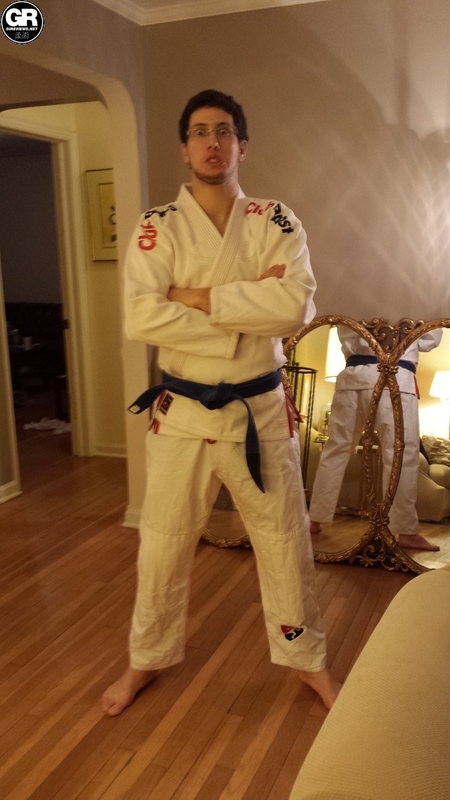 Its pants are some of the nicest in the game even though the top has some issues that could be resolved in a second entry of their Comp Gi series. Stay tuned for the review of the Club Boost Samurai. It is interesting that some of the issues have been fixed in the Samurai gi but some of the advantages are no longer present. Disclosure: This Gi was submitted to me free of charge (by way of gireviews.net) for review. I have never done any work with or for Club Boost.